Summary: In earthly situations, if we build on the things of this world, trust the world’s defenses, and try protecting ourselves by our own strength, something will go wrong — perhaps horribly so. Bad things happen even to the “best” of people. The situation is even more dire matters spiritual and eternal. 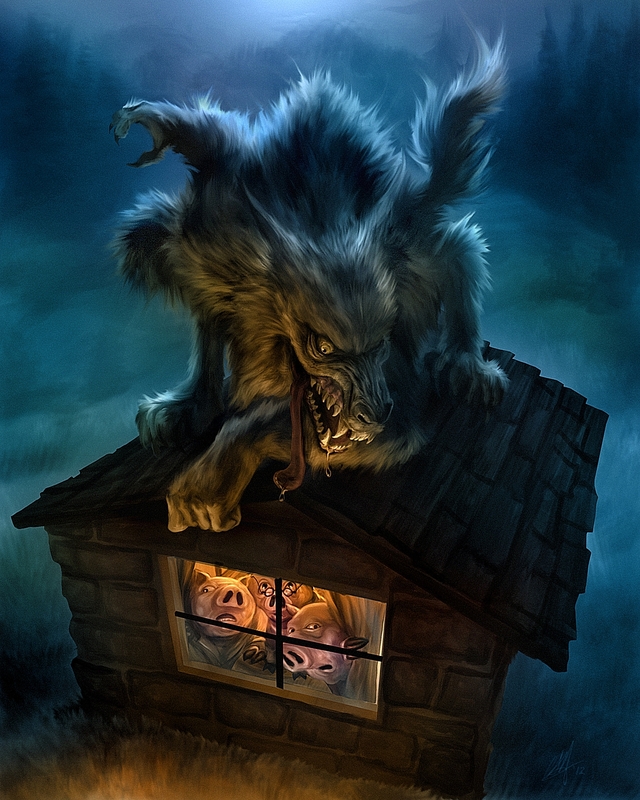 Our own defenses against Satan the ravening wolf are no more effective than the straw and stick houses of the first two of the Three Little Pigs. He quickly and completely overcomes our efforts to protect ourselves or to hide behind our own works. However, the Psalmist brings the good news: “The Lord of hosts is with us; the God of Jacob is our fortress.” We find safety under the shadow of His wings, behind the might of His walls. Jesus our brother has established for us a sure and everlasting defense. Our mighty Fortress is God Himself. Only He can protect us. Christ alone is the Gate. He opens to allow us in but closes to keep sin, death, and Devil at bay. The Holy Spirit extends Jesus’ invitation through the Gospel, brings us to faith, and leads us through the Gate into our refuge and dwelling place. Text: God is our refuge and strength, a very present help in trouble. Therefore we will not fear though the earth gives way, though the mountains be moved into the heart of the sea, though its waters roar and foam, though the mountains tremble at its swelling. Audio: Click to hear the MP3 of Our Mighty Fortress, preached to the saints at Bethlehem Lutheran Church, Warrensburg, Missouri. 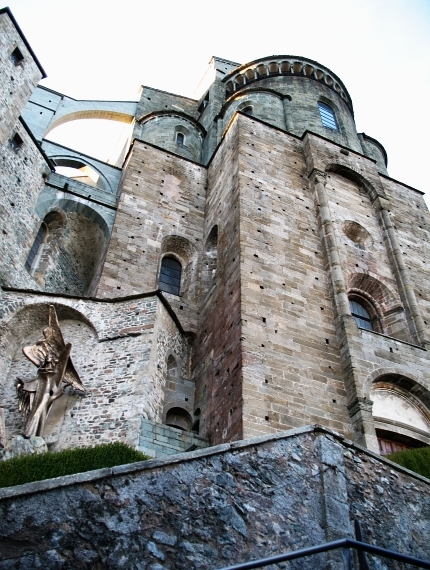 Illustration Credits: Original art of the Big Bad Wolf is © by Chris Scalf and used with her kind permission — to be specific, she said, “Go for it!” Public domain photograph of Sacra di San Michele in northern Italy from Wikipedia.